This is a section title in the Amazon Selling Coach report. Personally I find this to be the most useful feature of the report. I developed a habit of frequently checking my Amazon Selling Coach report after experiencing firsthand how useful this tool is. The product opportunity notifications, especially around the holidays have proved to be really valuable. I made a killing on one of the first products I tried out from their list. It was something I could easily get my hands on and somehow there seemed to be very few sellers with the same product. I sold 26 units between Thanksgiving and Christmas that year. I would have never pursued that avenue if I hadn’t received such a recommendation from the Amazon Selling Coach. Amazon is always on the lookout for new opportunities to increase your selling success on their site. The recommendations of the Amazon Selling Coach are personalized, timely and actionable opportunities that can escalate your performance and sales. 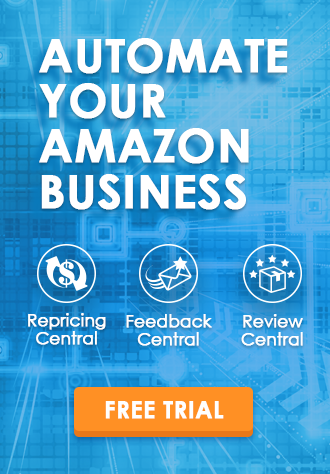 When Amazon identifies various business opportunities, the notifications are send in the Amazon Selling Coach reports, which can be downloaded from the ‘Business Reports’ page of your seller account. The notifications can also be received by email if you have set your ‘notification preferences’ accordingly. You can retrieve the recommendation emails from the Amazon Selling Coach communication page. The recommendations of the Amazon Selling Coach are divided into different categories in the report. 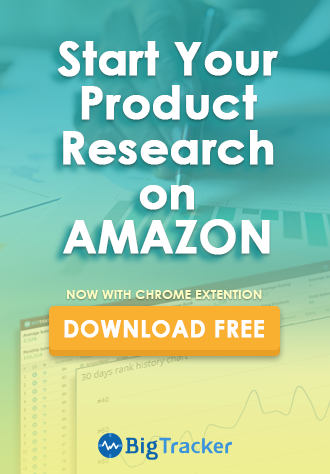 As mentioned in the beginning of the article, this is the part of the Amazon Selling Coach report where you will find recommendations for new product opportunities for listing. Despite the stiff competition and the long list of sellers offering the same merchandise, there are times when certain products have limited availability on Amazon. Sometimes when the demand for certain products goes up, there may be very few sellers cashing in on the opportunity. If you are a professional seller on Amazon and have sold similar items before, then Amazon will notify you when such golden opportunities arise. Utilize these valuable growth opportunities for your business by increasing your product selections in Amazon. The Amazon Selling Coach notifies you when your inventory starts running low. Amazon analyses your recent inventory and your sales records over the past seven days to create their inventory projections. They calculate the optimal stock quantity for various products in your inventory from this data. To prevent running out of stock and to avoid pre-fulfillment cancellations, you should take their recommendations seriously and restock the products that are given in the Amazon Selling Coach report. The Amazon selling coach gives you recommendations to review the pricing of your product listings in which your offer is not the most attractive one as it is not the lowest. Most buyers on Amazon are bargain hunters and they come to this shopping giant expecting to find the best and the most lucrative deals. Having the lowest price is an easy way to make your product listing more competitive. As an Amazon seller you should be aware of comparable offers that are priced lower than your product listings. Amazon’s Match Low Price feature picks out the current available lowest price on their active listings in the same condition and offered via the same fulfillment channel. This feature helps you to swiftly and effortlessly match the existing lowest prices on your products offered on Amazon.com. You can set ‘Low Price Comparison preferences’ in the Manage Inventory settings. The Match Low Price feature can be used to compare offers using variables like condition of the product whether used, new, used-very good, etc. the fulfillment methods used: FBA fulfilled or merchant fulfilled, the seller’s feedback ratings, the handling time or the shipping duration, etc. You can also choose to compare prices of all listings regardless of these factors or check the comparison with listings that are similar to yours in all the variables. If your product listing price is greater than other sellers with higher feedback ratings and faster handling times, then it is definitely advisable to re-price and lower the selling price of your product. The customized notifications of the Amazon Selling Coach are aimed at maximizing your effectiveness as an Amazon merchant. This service also offers you recommendations on top products that would perform better if offered through Fulfillment by Amazon. These are products that are available in your inventory and are attracting high customer interest, but the sales maybe hindered due to higher product prices. Using Fulfillment by Amazon [FBA] helps you to attract buyers with lower product prices and the promise of Amazon’s world class shopping experience. When a product is offered through Fulfillment by Amazon, it becomes eligible for free shipping under certain circumstances. This helps to further reduce your listing price as the shipping price gets deducted. Read more about the Highlights of Fulfillment by Amazon to understand the benefits of this service. The Amazon Selling Coach also gives you suggestions for correcting your current listing defects. If you make the recommended corrections, then it is easier for buyers to find and purchase your products. Defective listings are mainly of three types: New listings that have failed to get uploaded due to various errors, active listings on Amazon that are suppressed from the search and browse as they have failed to meet Amazon’s listing standards and those with quality alerts which indicate missing information in the product listing. Amazon FBA - How does it work?